In December of 2003, EFG has created the Panels of Experts (PE) to fulfil the EFG mission, contributing to the development of European Policies that could be interesting for geologists. To achieve this matter, it is needed to present Advisory Documents to European Commission and EU Parliament; to organize workshops on geological topics; to participate in public hearings, conferences, and meetings. And that is a work for geologists and experts in different geological issues around Europe. The Groups of Experts developed by EFG are the following, and you can find their current activity and next steps in the document below. 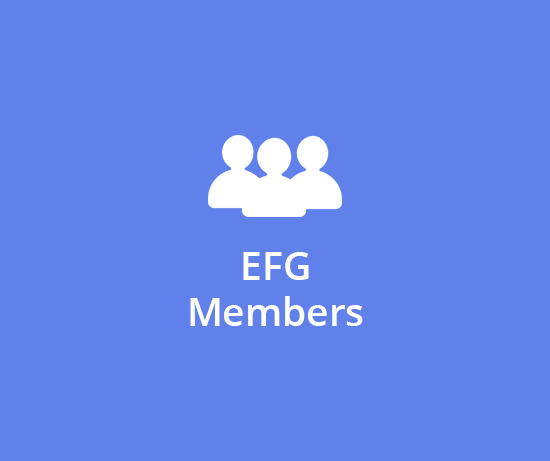 If you are interested in being a volunteer in one or more EFG Groups of Experts, do not hesitate to get in contact with the EFG Office. Following the increasing activities in the field of CCS, it is necessary to strengthen EFG’s expert group. We therefore call upon EFG members that are actively working on CCS, or planning to extend their activities to this field. Please contact the EFG Office to become involved as CCS expert. The mission of the PE on CO2 Geological Storage is closely aligned with the principal objectives of the European Federation of Geologists, which are representing, safeguarding and promoting the geological profession, promoting best practices and responsible use of resources, and establishing policies on environmental matters and sustainability. The current development of CO2 capture and storage makes these objectives highly relevant for the topic of CO2 storage. The success of CCS will largely depend on how reliably CO2 can and will be stored, justifying the dedicated mission of the PE CO2 Geological Storage: emphasizing the role of professional geologists and the importance of the geological perspective in the overall concept of carbon capture and storage. CO2 Geological Storage (CGS) is the geological side of CO2 Capture and Storage (CCS). The EU has been claiming to lead the world on CCS, but it is not living up to its ambitions. As a result, CCS demonstration projects are now being realised in other parts of the world, while they remain stuck in the planning phase in Europe. Part of the reason is the specific geological context of Europe, where basins are smaller and the history of burial and deformation is usually more complex, leading to a less predictable reservoir geology. Therefore, an important task remains open for the geological community for enabling CCS in Europe, because the success of a project, and the confidence for taking early project decisions, will depend on a timely and reliable geological assessment of potential storage locations. Professional geologists need to be prepared and informed in order to be ready when this competence is needed. Other networks focus on pooling scientific competence (CO2GeoNet), coordinating between Geological Surveys (GEEG from EuroGeoSurveys), or are industry (ZEP) or project driven. Although there is a certain overlap between these groups, none of them maintains structured contacts with professional geologists, unless through EFG. Acknowledging this position, the PE CO2 foresees in the following activities for 2016, commencing already in 2015: -An important goal will be the dissemination of up-to-date information to the panel members and to the EFG members through the proper channels. This information may relate to important steps, decisions, projects, project calls ,etc. -It is also the intention to share information of panel member activities among the panel, such as issued publications, or ongoing and finished projects. -As a communication activity, the website will be updated, and be kept up-to-date at regular intervals. -Starting from 2016, the PE CO2 will aim to publish one publication per year in the EFG Magazine. A call will be launched among the panel members for a volunteer to be lead author of the 2016-publication. -The PE CO2 will evaluate whether the initiative to set-up an e-course can be revitalised, or needs to be abandoned. -The option to involve EFG as a network partner in projects, as it is increasingly been done on other topics, will be advertised. This may be especially relevant for panel members that are not linked to other network groups. This panel of experts has been created in October 2008. Before it was part of the ”Panel of Experts on Geothermal Energy and CO2 Sequestration”. The PE on CO2 Geological Storage supports the European Technology Platform for Zero Emission Fossil Fuel Power Plants (ZEP). The European Technology Platform for Zero Emission Fossil Fuel Power Plants (ZEP) is the main advisory group for the EU on CO2 Capture and Storage (CCS). First contacts between EFG and ZEP were established on the EU-Sustainable Energy Week 2008, resulting in the joining of EFG as member of the Task Force Technology (TTech). TTech meets 3 to 4 times each year on different locations throughout Europe. This group alone counts over 70 members. Information on past meetings, members and published documents can be found on ZEP’s website. TTech counts different subgroups that are dedicated to capture technologies, transport and storage. As the power sector is strongly represented in ZEP, mostly capture technologies relevant to this sector are discussed. Oil and gas companies, geological surveys, and EFG make sure that storage aspects are well considered. Directive 2009/31/EC of the European Parliament and of the Council on the geological storage of carbone dioxide. The PE on Education was established in 2011. It intends to deal with educational questions in geology (earth sciences) at all education levels from primary school to postgraduate courses. In 2015-16 the Panel carried out a survey on geology in school education, public courses and outreach activities in the countries represented by the panel members. The results will be combined with another survey involving university students in order to know how these factors influence university and career choice. Preparing advisory documents to the EC on educational questions. Mapping the geology in public education in Europe. The survey is online available at the following link. Preparing a brochure for young professionals about the general requirements for working as geologists in Europe. School education in Spain, October 2012. More information on the topic: Fighting for Geoscience Education in Spain, EARTH March 2013. European Youth Portal: Information and opportunities for young people across Europe. The European Youth Portal offers European and national information and opportunities that are of interest to young people who are living, learning and working in Europe. It gives information around eight main themes, covers 33 countries and is available in 27 languages. EURES – The European Job Mobility Portal: The European Job Mobility Portal provides information, advice and job-matching services for the benefit of any citizen wishing to benefit from the principle of the free movement of persons. EURES has a human network of more than 850 EURES advisers that are in daily contact with jobseekers and employers across Europe. -Multirank: Multirank provides a new way for anyone to compare universities from all around the world –matching like with like, allowing you to see what they’re best at. Eurodesk -Educational Material related to the International Year of Soils 2015, for children ages 5 to 13. 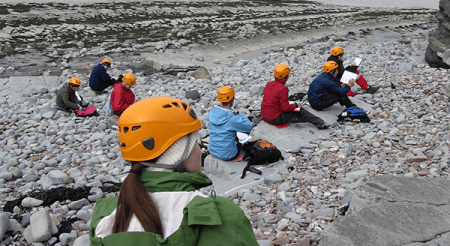 GIFT – Geosciences Information For Teachers: The EGU Committee on Education has organised Geosciences Information for Teachers (GIFT) Workshops since 2003. These are 2.5 day teacher enhancement workshops held in conjunction with EGU’s annual General Assembly. There, selected top-level scientists working in the Earth Sciences offer the invited teachers talks focused on a different theme every year. European Mining, Minerals and Environmental Program (EMMEP): The Joint Master EMMEP is a two-year joint degree program offered by five of Europe’s leading universities in resource engineering: Aalto University (Finland), Delft University of Technology (), University of Miskolc (Hungary), RWTH Aachen University (Germany) and Wroclaw University of Technology (Poland). The organization and co-ordination of the EMMEP program is carried out by the Federation of European Mineral Programs (FEMP) which also maintains the contacts with the supporting industry and the alumni. The students can specialize in either European Geotechnical and Environmental Course (EGEC), European Mining Course (EMC) or European Mineral Engineering Course (EMEC), and will receive a solid background in the specialisation area. EMERALD program: EMerald is a joint organisation of 4 top-level Universities in the field of georesources: University of Liège, Nancy 2 University, Luleå University of Technology and Freiberg University of Mining and Technology. EMerald offers a two-year full English Master Program educating a new generation of young professionals, integrating a perfect knowledge of available mineral resources and modern engineering technologies. It gives the students the opportunity to develop a broad and multidisciplinary knowledge of georesources processing from cradle to grave and beyond. Modern computer-based technologies used in resource characterization (digital imaging, tomography,…) and in resource modelling (geostatistics, 4D GIS,…) are the backbone of this degree, the objective of which is to train skilled engineers capable of using the most advanced exploration and modelling technologies available. -Horizon 2020 calls -Erasmus+: Erasmus+ is the EU programme for education, training, youth and sport for 2014-2020.The Erasmus+ programme aims to boost skills and employability, as well as modernising Education, Training, and Youth work. The seven year programme will have a budget of €14.7 billion; a 40% increase compared to current spending levels, reflecting the EU’s commitment to investing in these areas. The EFG Panel of Experts on Geological Heritage aims to support the European Institutions in finding answers to the Geoconservation and Geological Heritage challenges, contributing to the development of European policies to protect the Geological Heritage in Europe. In collaboration with other organizations this PE prepares advice documents and organizes and disseminates scientific events and outreach events on Geoconservation and Geological Heritage. This panel has contributed preparing advice documents to the WG on Geological Heritage, Council of Europe, Cultural and Natural Heritage Department. European Geologist magazine 34: issue on geological heritage. Contains a collection of articles with examples of geological heritage protection and geodiversity from 10 different countries. EFG convener of session at EGU meeting, Geodiversity and Geoheritage in university education and research, Vienna, 22-27 April 2012. ENSA meeting, invited speaker in 2nd European Network on Soil Awareness meeting 27 – 29 September 2009 in Osnabrück. The meeting was supported by the JRC. Invited speaker on geological heritage in Taiex Albania meeting EU Mining Legislation and Initiatives related to Non-Energy Extractive Industries INFRA 34256 organised in co-operation with the Ministry of Economy, Trade and Energy and the Albanian Geological Survey, Tirana 20-21 October 2009. Land-Ice & Geotourism in Northern Europe. 1st German-Dutch Workshop. Geopark Mecklenburg Ice Age Landscape. Neubrandenburg, October 23rd – 25th, 2008. TAIEX & EFG Workshop- Palanga, Lithuania. 7-9 Apr 2008. TAIEX & EFG Workshop- Sibiu, Romania. 8-10 Oct 2007. EFG participated in Green Week 2006 (29 May–2 June 2006), with a stand highlighting the concept Geodiversity = Biodiversity, where this panel carried out the organization. European Union Soil Thematic Strategy Geodiversity and Geoheritage as features of Soil Protection, February 2004. EU Manifesto on Earth Heritage and Geodiversity, November 2004, in collaboration with IGU, IUGS, EUCC, ECSSS, IAG, IUSS, and many national and European organizations related to Geoheritage. Land Degradation and Desertification -Recommendation Re (2004)3 on the Council of Europe on conservation of the geological heritage and areas of special geological interest (Adopted by the Committee of Ministers on May 2004). O Miocénico das arribas do litoral da Península de Setúbal. Um património geológico a preservar. Património Paleontológico do Miocénico da Península de Setúbal. The PE on Geotechnics contributes to the development of European Policies of interest to geologists and geological issues regarding the European policy on geotechnics. EFG Position on notification 2017/43/I (“Decree updating the new technical standards for buildings”) sent on 23 May 2017 to European Commission. The members of the Geothermal PE must help the EU Institutions and organizations of EU countries during decision-making process in the geothermal sector. EFG created this group of experts in the Board Meeting September 2005, when it was called ”Panel of Experts on Geothermal Energy and CO2 Sequestration”. In 2008 the group separated in two different groups: Panel of Experts on Geothermal Energy and Panel of Experts on CO2 Geological Storage. EFG was the coordinator of the project GEOTRAINET – “GEO-EDUCATION FOR A SUSTAINABLE GEOTHERMAL HEATING AND COOLING MARKET”. The aim of the project GEOTRAINET, was to develop the training of professionals involved in Ground Source Heat Pump installations (GSHP). Directive 2002/91/EC of the European Parliament and of the Council of 16 December 2002 on the energy performance of buildings, Official Journal of the European Communities. Energy for the future: renewable sources of energy. White Paper and action plan COM (97) 599 26.11.1997. Hydrogeology is a main topic among technical and professional skills of the geologists, and it is probably the most strictly related to the environmental protection and preservation. In the 21st century, the pursuit of the equilibrium between human needs and environmental sustainability involves as a main element the water resources, representing at the same time a resource and a risk. It is a task of modern geologists to contribute to the management and protection of water resources, with particular attention to groundwater. EFG PE on Hydrogeology mission is to contribute to the development of knowledge, to the awareness of groundwater relevance in daily life, to the introduction of policies and to the technical improvement of professional geologists in this field. Panel members are actively participating in the KINDRA project (Knowledge Inventory for hydrogeology research), founded by the Horizon 2020 programme. Blueprint to safeguard Europe’s Waters: The Blueprint aims at ensuring good quality water in sufficient quantities for all legitimate uses. The time horizon of the Blueprint is 2020 since it is closely related to the EU 2020 Strategy and, in particular, to the Resource Efficiency Roadmap. The Blueprint is the water milestone on that Roadmap. However, the analysis underpinning the Blueprint will cover a longer time span, up to 2050, and will drive policy for a longer period. GEOLOGY AND WATER MANAGEMENT: RESOURCES, RISK AND REGULATIONS (3Rs) Athens Conference. 30 May 2008. On 30 May the Association of Greek Geologists (AGG) with the European Federation of Geologists (EFG) organized an International Conference about geology and water management. Click on the links to access to the Programme and Press release. EFG PE on Hydrogeology has worked in the European Commission, DG Environment, Working Group on Groundwater (WG C) on the preparation of Common Implementation Strategy (CIS) guidance on the definition of what constitutes an input to groundwater and how their impacts should be assessed. Communication from the commission to the Council and the European Parliament: Communication on the future development of the EU Water Initiative and the modalities for the establishment of a Water Facility for ACP countries, January 2004. Communication for the Commission to the Council and the European Parliament: Water management in developing countries policy and priorities for EU development cooperation,March 2002. The ASTHyDA project addresses the need for a concise review and dissemination of recent knowledge and tools for prediction of stream flow and groundwater in periods of water scarcity. Information on the activities in progress in the context of the EU Water Initiative launched officially in Johannesburg 2002 are available on the Water for Life and EU Water Initiative official website. Millennium Project, Commissioned by the UN Secretary and supported by the UN Development Group they elaborate a report of Task Force 7 on Water and Sanitation: Health, dignity, and development: what will it take? Website for EUGRIS Project aims to develop a web based on a user friendly information platform for contaminated land and groundwater management. It will be openly available and provide a comprehensive and overarching information resource for sustainable groundwater and land management practice. EUGRIS acts as a “central broker” of information. Publication: “Water Technologies: Results and opportunities” A selection of projects financed during the FP5 is briefly presented in this publication to give examples of completed projects and their contribution to areas such as wastewater, drinking water or industrial water technologies. Europe’s Water: An indicator-based assessment. This document assesses the quality and quantity of Europe’s water. Four water issues are assessed on the basis of 57 indicators, selected for their relevance: ecological quality, eutrophication and organic pollution of water, hazardous substances and water quantity. UN Division of Sustainable Development, including WSSD Plan of Implementation. How rivers work: The Role of Groundwater by UK Groundwater Forum. Athanassios Ganas (Greece), Péter Scharek (Hungary), Tamás Oszvald (Hungary), Nazzareno Diodato (Italy), Dinand Alkema (The Netherlands), Barbara Čenčur Curk (Slovenia), Marko Komac (Slovenia), Mercedes Ferrer (Spain), Roberto Alvarez de Sotomayor Matesanz (Spain), Rosa Maria Mateos (Spain), Andy Gibson (UK), Steve Parry (UK). The group has been established in March 2003, in relation to EC initiatives on Civil Protection, DG Environment, and has since then provided many contributions to the EC. The new coordinator of this Panel of Experts is Chartered Geologist and holder of EurGeol title on the field of Engineering and Environmental Geology. Furthermore, he is member of the Technical Committee in Engineering Practice of Risk Assessment and Management of the International Society for Soil Mechanics and Geotechnical Engineering. The panel responded positively to an invitation by the Disaster Risk Management Knowledge Centre for the preparation of the “Science for DRM Report 2020” in November 2017. The panel reviewed the proposed table of contents and offered additional ideas to re-emphasise what has already been suggested to “Science for DRM report 2017”. Both the EFG and the Panel of Experts on Natural Hazards and Climate Change welcome transparent and open initiatives to engage the multidisciplinary scientific communities and society to address the environmental impacts caused by climate change. 1. United Nations Climate Change Conference (COP 21 or CMP 11) took place in Paris between 30.11 and 12.12 2015. The main result of the conference is the Paris Agreement, which was negotiated by the conference. The agreement states that “Holding the increase in the global average temperature to well below 2 °C above pre-industrial levels and to pursue efforts to limit the temperature increase to 1.5 °C above pre-industrial levels”. The agreement will enter into force only if 55 countries that produce at least 55% of the world’s greenhouse gas emissions ratify, accept, approve or accede to the agreement. Read the adoption of the Paris Agreement in details here. Over the reporting period, this expert group has been active with contributions to the European Commission working group on flood risk mapping (EXCIMAP). The EFG expert panel on natural hazards has written several Advice Documents for the European Commission DG Environment, unit Civil Protection and unit Water. The expert panel has established a Geoscientific Manifesto document on natural hazards and land-use planning (see below). Furthermore, the group has participated in the Public Hearing about Prevention and Management of Natural and Technological Risks in Europe, carried out the 23rd March 2004 at the European Parliament, with the presentation: “Risk Mapping and Land Use Planning”. The panel has provided input to the text of the Seventh Research Framework Programme (FP7) on request by DG Research (2006). It has also assigned two members to participate in the European Commission working group EXCIMAP on flood risk mapping. EFG Pressrelease “Workshop on Managing Natural Hazards”, 10 May 2012. Geo-scientific Manifesto on Civil Protection against Natural Hazards, presented in the consultation meeting, organized by the European Commission, 8th February 2005, Brussels. EFG Advice Document to the European Commission on Civil Protection and Natural Hazards,March 2003. EU initiatives on disaster prevention. Over these last few years, Europe’s forest fires, floods and droughts have become fiercer and more intense. This has a devastating affect on people’s lives, their livelihood and the environment. In 2008 the European Commission plans to publish a Communication on an integrated approach to disaster prevention. November 2007: EXCIMAP. Handbook on good pracitices for flood mapping in Europe. Communication from European Commission to the European Parliament, the Council, the European Economic and Social Committee and the Committee of Regions, “Reinforcing the Civil Protection Capacity of the European Union”, March 2004. Horizon 2020 calls LIFE The Civil Protection Financial Instrument 2014-2020 supports and complements Member States’ efforts to protect people and property in the event of natural and man-made disasters, terrorist acts and technological, radiological and environmental accidents. It also facilitates co-operation between Member States in the field of civil protection. To act as EFG’s body of experts in minerals related themes. Participation in the Raw Material Supply Group, European Commission experts group under the responsibility of the Direction General for Enterprise and Industry. Support the adoption of The Pan-European Reserves and Resources Code (PERC) by the major professional geological association in Europe and its recognition internationally as a CRIRSCO template for an international standard/code. Participation in the United Nations Framework Classification for Fossil Energy and Mineral Resources (“UNFC”) adopted by the UN in June 2004 and updated in 2009. The Pan-European Reserves & Resources Reporting Committee, PERC, is the European equivalent of the Australasian JORC, SAMREC in South Africa and similar reserves reporting standard bodies in the USA, Canada, Russia, and Chile, and along with them is a constituent member of the Committee for Mineral Reserves International Reporting Standards (CRIRSCO). Representation on PERC covers major and minor mining sectors, industrial minerals, aggregates, coal, the investment and financial community and the professional accreditation organisations, including the Institute of Materials, Minerals, and Mining (IOM3), the European Federation of Geologists, the Geological Society of London, and the Institute of Geologists of Ireland. EFG is member of the Raw Material Supply Group, a European Commission experts group under the responsibility of the Direction General for Enterprise and Industry. Natural Resources Reporting Workshop on May 15th, 2009 in conjunction with the EFG Council meeting in Dublin. Taiex Workshop in Budapest (November 2006). The presentations are available Taiex Library. (SOCIETY FOR GEOLOGY APPLIED TO MINERAL DEPOSITS) SGA Conference Dublin August 2007: A session on resource – reserve issues is being convened by J Clifford. EFG Position Statement on European Technology Platform Sustainable Mineral Resources (ETPSMR), March 2006. EFG Position Statement on Mineral Resources Policy and Management in Europe, March 2006. The qualified person concept EFG submission, with respect to the Directive of the European Parliament and of the Council on the management of waste from the extractive industries, February 2004. An Introduction to the Code for Reporting of Mineral Exploration Results, Mineral Resources and Reserves, October 2001. Code for reporting of Mineral Exploration Results, Mineral resources and mineral reserves, (The reporting Code), October 2001. Statement on the UNECE Expert Group Meeting on Resource Classification, Geneva, 6-8 April 2011, Andy Bowden. Statement on the Workshop “Raw Materials for a modern society”, Brussels, 28 February 2011, Andy Bowden. Statement “Spain needs mineral reserves in order to face a possible under-supply”, 25 May 2011, Ruben Esteban. European Commission proposes new strategy to address EU critical needs for Raw Materials, EU Raw Materials Initiative On 2 February 2011 the European Commission adopted its final communication Com(2011) 25 final “Tackling the challenges in commodity markets and on raw materials”. 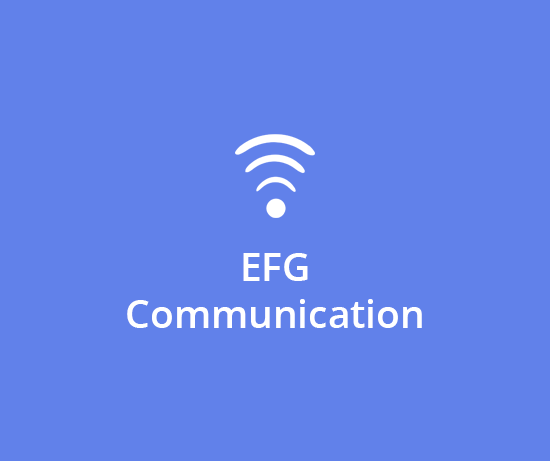 Based on the public consultation to which the EFG PE contributed, the European Commission had already created a first communication document in 2008. The attention to access to raw materials and including access from European sources, will involve contributions of the national geological surveys and eventually the European Geological profession. EFG PE promotes the use of the PERC code as a tool to align reserves and resources definitions in Europe, which is only one element that will improve the knowledge base for which the European Commission is calling. European Parliament non-binding Resolution on an effective raw materials strategy for Europe (2011/2056(INI)), 13 September 2011. Communication from the European Commission “Tackling the challenges in commodity markets and on raw materials”, February 2011, Com(2011) 25 final. Innovation Partnership: Non-Energy Raw Materials for a Modern Society, Discussion Document, 17 December 2010. Ref.Ares(2010) 965067. European rock and role, EU IM PRODUCTION, February 2009. Communication on the Raw Materials Initiative – Meeting our critical needs for growth and jobs in Europe, November 2008. Mining waste Directive was adopted in 2006. The role of geologists in soil protection covers a wide range of topics. Firstly, the geological soil-forming processes, which include those that underpin soil fertility and carbon capture in soils. Secondly, soil protection, including sediments, which covers both the identification and characterization of different stressors in order to manage the potential risks and avoid contamination, starting from the understanding of the probability of a contaminant event occurring. Soil protection also includes the evaluation of the most suitable remediation techniques, and leading where necessary to the design and execution of engineering works to make a soil meet specific required quality criteria to deliver a new function. Extending from site-specific tasks, the geologist plays an important role in understanding soil processes globally, in the context of the overall Earth System. In this work, the geologist has to work closely with professionals from other disciplines, including life scientists, ecologists, geographers, hydrologists and civil engineers, as well as planners and land-use specialists. To provide a core of expertise within EFG that relates to soils and soil protection. To observe changes in policy and regulation that affect soils at a European level, and to respond with advice when appropriate opportunities arise. The Panel of Experts on Soils uses a thorough understanding of the technical and scientific matters that relate to soil protection on a range of scales to be in a position where it can inform policy, and assist policy makers in drafting or modifying appropriate regulation. EFG has liaison with the CEN, European Committee for Standardization, Technical Committee on Characterization of Soils, TC345, since September 2010. This panel prepared and amended a document in collaboration with EuroGeoSurveys on reaction to the Directive of the European Parliament and of the Council establishing a framework for the protection of soil and amending Directive 2004/35/EC, September 2006. Proposal for Amendments by Eurogeosurveys and supported by the European Federation of Geologists on the Proposal for a Directive of the European Parliament and of the Council establishing a Framework for the Protection of Soil and amending Directive 2004/35/EC COM(2006) 232 Final 2006/0086 (COD). Communication from the Commission to the council, the European Parliament, The Economic and Social Committee, and the Committee of Regions: Thematic Strategy on the sustainable use of natural resources, December 2005. Assessment and reporting on soil erosion Background and workshop report, European Environment Agency, 2003. Communication from the Commission to the council, the European Parliament, The Economic and Social Committee, and the Committee of Regions: Towards a Thematic Strategy for Soil Protection, April 2002. European soil monitoring and assessment framework, EIONET workshop proceedings. European Environment Agency, 2001. Down to earth: Soil degradation and sustainable development in Europe, A challenge for the 21st century, Environmental issue series No 16, European Environmental Agency, 2000. The Food and Agriculture Organization (FAO) of the United Nations has been nominated to implement the IYS 2015, within the framework of the Global Soil Partnership and in collaboration with Governments and the secretariat of the United Nations Convention to Combat Desertification. The IYS 2015 aims to increase awareness and understanding of the importance of soil for food security and essential ecosystem functions. Educational Material related to the International Year of Soils 2015, for children ages 5 to 13. Food and Agriculture Organization of the United Nations (FAO) List of Soil Science Societies International Union of Soil Sciences Glossary of Soil Science Terms This Glossary of Soil Science Terms was an ad hoc committee of the Soil Science of America to provide a single glossary of terms for the various disciplines of soil science. Soil Atlas 2015 The Soil Atlas 2015 presents facts and figures about earth, land and fields; its broad ranging significance and its current state in Germany, Europe and the world. Soils: Introducing the World Beneath Our Feet Learn about soils, the variety of life they contain and how humans impact this fragile system, with this free online course. Educational Card Game: the hidden life of soils (+8). Download the game, print it and play. The oil and gas industry plays a significant role in the supply of the world’s energy demand in the 21st century. While responding to this demand it has to face serious challenges like: -continuously rising world demand and newly emerging big consumers -uncertain energy policy -political constraints and competition for proven reserves -international boarders -new operational challenges for conventional resources and reserves in deep offshore, arctic regions, etc. -unconventional resources and technology -worsening fiscal terms -oil price volatility, speculations, eco-political pressures -corporate social responsibility, health, safety and environmental risks -climate change concerns -competition and/or collaboration with new technologies (e.g. geothermal energy) -R&D, innovation -lack of experienced and skilled experts/professionals -scarce or absent funding for training courses in oil & gas-related disciplines (e.g. reservoir characterization/rock typing), -potential’s function change of depleted hydrocarbon reservoirs (e.g. to CCS, UGS, geothermal energy production) -exploration of upside potentials in mature accumulation zones -advanced portfolio management techniques in hydrocarbon exploration in low oil price environment The answers to these problems require adequate regulation systems and skill backgrounds. The mission of the EFG PE on Oil & Gas is to support the European Institutions in finding answers to the industrial challenges and to participate in their activities. The PE has to serve the experienced experts for the tasks of EU Institutions and other organisations regarding the oil & gas sector. The PE aims at organising workshops where experts can exchange their experiences and opinions about the current and common challenges of industry (technically, environmentally, geopolitically & commercially) and aims at participating in the development of new policies and directives of EU institutions and organisations. EFG participated on Resources and Reserves categorisation issues with attention to the United Nations Framework Classification (UNFC). The final version of this classification (“UNFC”) adopted by the UN in June 2004 is the United Nations Framework Classification for Fossil Energy and Mineral Resources. Maintain the position of EFG in the UN expert group of Security of Fossil Fuel Supply. Re-assess the opportunities, ways and means of enhancing indigenous contribution to the oil and gas supply of member countries of EFG. EFG assists oil companies in implementing their tasks in the field of demonstrating their social responsibility. Establishing licensing procedures and systems for certified petroleum reserve evaluators initiated by AAPG. EFG Office disseminates information about the European legislation on Energy and Thematic Strategy on the sustainable use of natural resources. Paper “Overview on Oil and Gas in Croatia”, January 2018 Contribute to the improvement of the professional communication among NGOs, NOCs, and IOCs by participating in the International Programme of Scientific and Technical Organizations. Directive of the European Parliament and the Council concerning measures to safeguard security of natural gas supply. September 2002. Proposal for a Directive of the European Parliament and of the council concerning the alignment of measures with regard to security of supply for petroleum products. December 2002. Parliament: Committee on Industry, External Trade, Research and Energy. EFG’s Panels of Experts (PE) have been set up to provide high quality advice and information to the European Commission, to the European Parliament, to international NGO’s and to global professional associations, to participate in EC congresses, to participate in EC working groups and to attend EC consultation meetings. In addition, they should proactively respond to relevant issues in the press and to those items on the European Commission and European Parliament agenda. Furthermore, in all these activities it is the intention to take every opportunity to emphasize the importance of geology to society, the benefits of incorporating geological advice and to promote the importance of the geo-scientific profession. The participation of experts is on a voluntary basis. 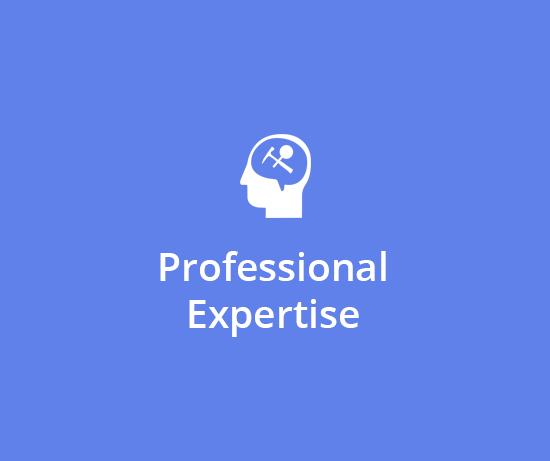 The advantage for the participating experts is their active involvement in a European and/or worldwide network of experts with the same specialty. 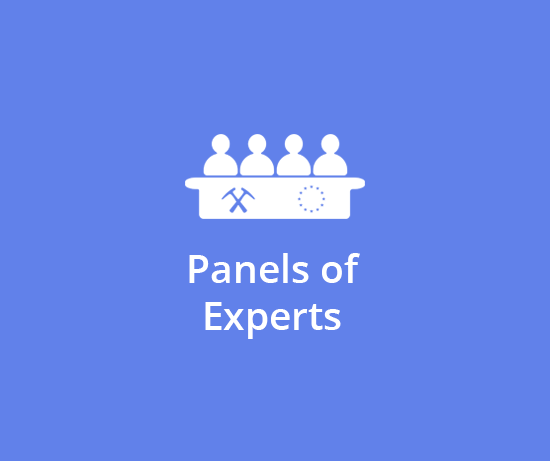 Although in most cases several of these specialist networks already exist, the EFG expert panels are different, because they mainly focus on raising the awareness of technical and professional issues and try to influence or convince politicians and decision makers to adjust their directives such that geology is taken into account. In addition, EFG will be trying to arrange workshops/meetings to bring the experts of the group together for detailed discussions, with possible participation of European Commission members. Experts may also be assigned by the EFG Brussels office and the coordinator of the expert panel to meet EC members for detailed discussions, to give presentations to the European Commission/European Parliament when requested or take part in European Commission working groups. Furthermore, EFG can assist in gaining improved insight into EU funding possibilities. 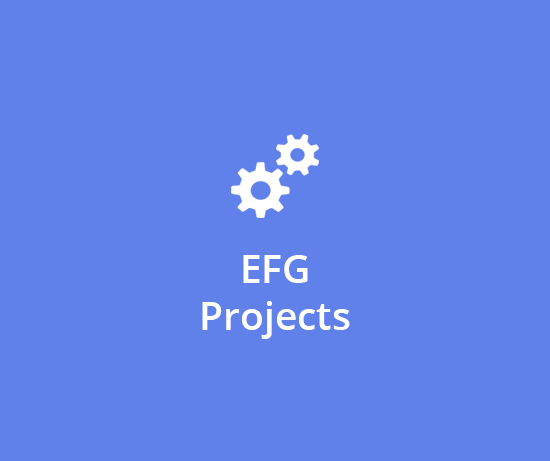 The EFG expert panels are driven by a coordinator assigned per panel, which is tasked with transmitting work activities to the panel members for input and comment and for communicating the consensus report or documents back to the EFG Office. The EFG Board nominates the coordinator. His/her responsibilities include keeping the Board and thus Council informed of activities. The coordinator should be from a member country of the EFG. The coordinator is responsible for direct communication with the EFG Brussels office. Coordinators should respond to questions from the EFG Brussels office in a timely manner to be able to plan activities accordingly. When the coordinator is unable to respond well due to lack of time (it is after all a voluntary task and it should not significantly affect his/her own job), he/she should indicate this as soon as possible to the EFG Brussels office. Alternative solutions can be sought, such as assigning another expert in the group to temporarily take over the task of coordination. Membership of an EFG expert panel is not restricted to people from EU countries only. However, the main part of the expert panel should be from EU countries. It is preferred that experts involved have the professional geologist EurGeol title. It is expected that experts involved in the EFG expert groups will actively participate. When issues arise, they are requested to respond quickly. When experts are not able to respond quickly due to lack of time (as described above for the coordinator), they should notify the coordinator of their panel. Active involvement is necessary to be successful. When members of expert panels are not actively participating, the Office will consider removing them from the list. This will first be discussed with the expert involved. This procedure has been decided upon to avoid large inactive groups without deliverables. When members of the expert panel come across issues that would be a task for the EFG expert group, they should discuss the issue with the coordinator and the rest of the expert panel. The coordinator should subsequently contact the EFG Brussels office to decide if and what actions should be taken. To make the best use of the expertise available from the experts we need to have good information about them, and so that we can also approach individuals for special tasks (e.g. involvement in a European Commission working group on behalf of EFG). Therefore experts are requested to provide some information about their expertise. Area of expertise, incl. possible subdivision (e.g. natural hazards; floods expert). Involvement in other networks. Any other relevant information. Regularly, EFG is invited to assign an expert to participate in European Commission working groups. Participation in these EC working groups gives us the opportunity to improve visibility and emphasize the importance of geology and thereby influence the European Policy with (in-) direct relation to geology. The coordinator of the expert panel and the Brussels office director nominates the person assigned to become participant in EC working groups. Experts that are involved in EC working groups through the EFG also have to represent the European Federation of Geologists in these working groups. In addition, they may also represent their own organization, e.g. a national Geological Survey. A requirement in this task is to provide good feedback and regular reports to the EFG office on activities within the EC working group. Concise reports or status updates are required before EFG Council meetings (June and December). It is recommended to involve the relevant EFG expert panel when and where necessary in matters arising in the EC working group. Since all products of the expert groups should represent the overall view of all countries involved in the European Federation of Geologists, it is a requirement that all written documents and possible EFG representation by experts at special events are approved by the EFG Board and EFG Council. Therefore, written EFG Advice documents require 1 to 2 weeks final review and approval by the EFG Board and Council. In situations when urgent response is required, approval by the EFG board is sufficient. All communications with the EFG Board and Council are through the EFG office.